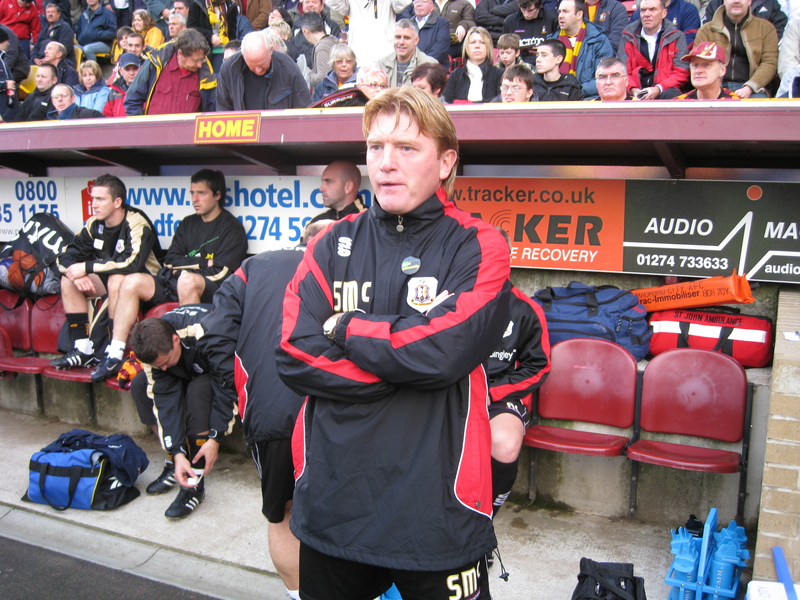 To Bradford City fans, Stuart McCall needs no introduction. He is hailed by many as the Bantams’ greatest ever player; the prolific, heart-on-his-sleeve midfield dynamo bound to the club by emotion, tragedy and triumph, and who boasts a love for this team that transcends beyond anything ever seen before or since. Being likened to McCall is the ultimate accolade that City fans can bestow on a player. The fact that no one but Gary Jones has since been comparable to the flame-haired midfielder just about sums up Stuart. McCall’s return to Valley Parade in 2007 marked the beginning of a new dawn: a City legend ready to take the club to the heights enjoyed when he was lining up for them. Stuart was back where he belonged and the world was at peace once more – his side just needed the season to commence so that they could win promotion. McCall played for City over two spells, before signing for Sheffield United in 2002 as the Bantams began their freefall to the basement division. In 2007, City slid down the League One table and were eventually relegated after a weak display at Chesterfield. During this time, McCall, fresh from helping Sheffield win promotion to the Premier League, became the conflicted high-flyer, peeking in from his vantage point with the Blades and wishing that he could do something to reverse his old team’s fortunes. He was the passionate exile; not directly involved, but every bit as invested as those who were. Not exactly envious of the club’s plight, but angered that he could not be at the centre to help. Not there physically, but there after every single City defeat, when Bradford fans would reminisce about the days of McCall, Ormondroyd and Hendrie and wonder where it all went wrong. As the Blades succumbed to relegation and fell back into the Championship, McCall parted company with United and was installed as the manager of the team for whom he had made over 300 appearances: Bradford City. With his insuppressible love for the club and his desire to achieve success, McCall was the kind of appointment that Bradford, a team deflated after tumbling to the bottom tier the previous season, were in dire need of, especially as his strong affiliation with the Bantams ensured that a seemingly perfect formula for success was provided. It was the return of the Messiah, the golden boy coming back to his spiritual home of Valley Parade. Stuart’s homecoming captured the hearts of City fans everywhere and supporters took advantage of the cheap season ticket initiative to flock to games in their numbers. For all of us, fruition seemed imminent because the impassioned McCall, the man with claret and amber coursing through his veins, would be at the helm of the cause. Promotion? Piece of cake. And it was because of those cheap season tickets, incidentally, that I found myself travelling down to Valley Parade on 11th August 2007 to witness McCall’s first game in charge. That’s right – it was my mum and auntie’s idea of a ‘cheap afternoon out for the kids’ that helped to form my huge love for the Bantams. My auntie, who had witnessed City’s Premier League heyday and McCall’s glory days, gave me a brief history of the Bradford legend. A cult hero in midfield, she said. There on the day of the fire. His father seriously injured. He talked to the City fans in the hospital as he paid visits to his dad. He departed for Everton and Rangers, but came back to help the Bantams end their 77 year absence from the top-flight. Now, he was here for a third time, as a club great putting his legend status on the line to catapult City back into League One. Only, it didn’t quite read as we’d hoped. The Macclesfield match had all the makings of the perfect season opener. As Stuart stepped out, fans climbed to their feet and gave him a standing ovation. Roars rang out everywhere. Chants of “Stuart, Stuart!” emitted from the Bradford stands. The stage was set for an upset. It was the ideal platform from which Stuart could begin to pursue promotion. However, the party atmosphere crumbled in the ninth minute, when the visitors snatched the lead after Francis Green swooped in to beat Donovan Ricketts. Their goal was almost like an early warning sign of what was to come, and, to many, it’s the defining moment that sums up McCall’s tenure to a tee. It simply wasn’t to be. The Bantams broke the home duck 14 days later. Young Luke Medley scored late against Wrexham to send Valley Parade – and Stuart McCall – into raptures. The feel-good factor remained, stronger now that the team had registered their first home win, and the fans and players began to believe that we would be toasting promotion soon. That old curse: it simply wasn’t to be. After failing to record a single win in eight, Bradford began to turn a corner, gradually finding form and showing promise. The Boxing Day game against Lincoln City marked the first time that the sides had met at Valley Parade since that fateful day in 1985, and the Bantams clocked up an emotional victory after Barry Conlon scored an added-time winner. Stuart was euphoric, screaming wildly as he looked into the skies above. It was such a poignant win, and one that McCall later cited as one of his best moments of the season. City managed to salvage the remainder of the season to finish the campaign in tenth. But it was going to take a lot more than missing out on the play offs to knock this man from his pedestal. It was around this time that I was paying a visit to Bradford City’s Positive Lifestyle Centre with my school, which traditionally ended with a lap around the Valley Parade pitch. And who was already finishing his run as we settled into the stands? The City chief came over to join our class, sitting himself down next to me as he signed programmes and fixture lists for us. Being only ten years old at the time, the idea of ‘think before you speak’ wasn’t exactly on my radar, and I ended up grilling Stuart about season ticket sales, signings and the time he was sent to the stands. And he responded perfectly, answering as many of my questions as he could while talking to me about his favourite chants and the wider world of football. I explained how I listened to the commentary on the radio if I couldn’t make an away game and suggested he sign the then-Carlisle goalkeeper, Kieren Westwood, to which he replied, “You know your football!” I was over the Moon, and got McCall, 4 printed on my next shirt. Back to City’s second season in League Two, which they would be entering into as the Bookie’s favourites for promotion – again. And why not? We were going to do it this year. Last time was the practice run, the dress rehearsal, the chance to iron out the creases and overcome any teething problems. This was the real thing. Untold glory awaited. McCall’s side started the season well, and won five of their first six league matches to top the table. City, though, couldn’t maintain their form, with results turning against us to kick-start our descent out of the top seven. Unbridled joy in victory swam alongside the huge blows of defeat, with McCall blaming himself for the team’s failings on the pitch. A woeful 4-1 away defeat to Barnet signalled the decline of City’s season, and, as the Bantams fell behind the pack’s leaders and failed to capitalise on others’ mishaps, their fate for next year was slowly, painfully, agonisingly confirmed. Stuart had promised to resign if Bradford City missed out on their target of a play off place, but decided to continue his reign after the Bradford fans spent the final home game of the season holding “Save Our Stuart” cards aloft and pinning bed sheets across the railings of the Kop. We loved him and he loved us. He wasn’t going to go. He couldn’t turn his back on us. As the club slashed their budget for the following season, McCall took a voluntary pay cut. Several of the higher-profile players – including the skipper, Graeme Lee – left. Finances were no longer on Stuart’s side and other teams didn’t view us the big fish in the small pond anymore; rather, we were just another team in the league, the club who had taken on a slightly longer stay than originally anticipated because we – ahem – enjoyed the view. For Stuart, the odds were stacked higher than ever before. It was now or never. A dismal start to the season set the alarm bells ringing right from the off. The Bantams picked up a five-goal deficit after being given a lesson in football by a rampant Notts County, and City racked up a total of four games without scoring before narrowly beating Cheltenham. Although the side, in parts, seemed to show some potential, they never genuinely acquired form, and promotion dreams rapidly faded as teams dashed off to leave the Bantams struggling in their wake. We condemned ourselves to another year in the division. Four years in League Two? How did that happen? We began to feel the strain, but it was nothing compared to the insurmountable pressure that Stuart put himself under. Desperate for it to work, he tried everything, but the evasive promotion remained the stuff of fantasy as minutes, games and seasons slipped by. A sluggish 0-1 loss to Bury was McCall’s last game in charge. One could argue that there was an air of inevitability about his resignation, but it was nevertheless a shock, as a part of all of us still believed, and still hoped, that Stuart McCall would get Bradford promoted next season. But that was the point: it was always next season. “It’s time for somebody else to come in and take up the reins and hopefully do well,” McCall said. And with his blessing, Peter Taylor came in, laden with the task of stopping the slide so that the Bantams could begin to move on up again. Bradford subsequently finished 15th and a year later 18th. What McCall had deemed “not good enough” started to seem rather impressive indeed. That 10th place finish of 2007/08 suddenly appeared quite fanciful. Whatever happened whilst Stuart McCall was the manager, the bottom line is this: we will always have a place in our hearts for him, just as he holds a special affection for this club and its fans. 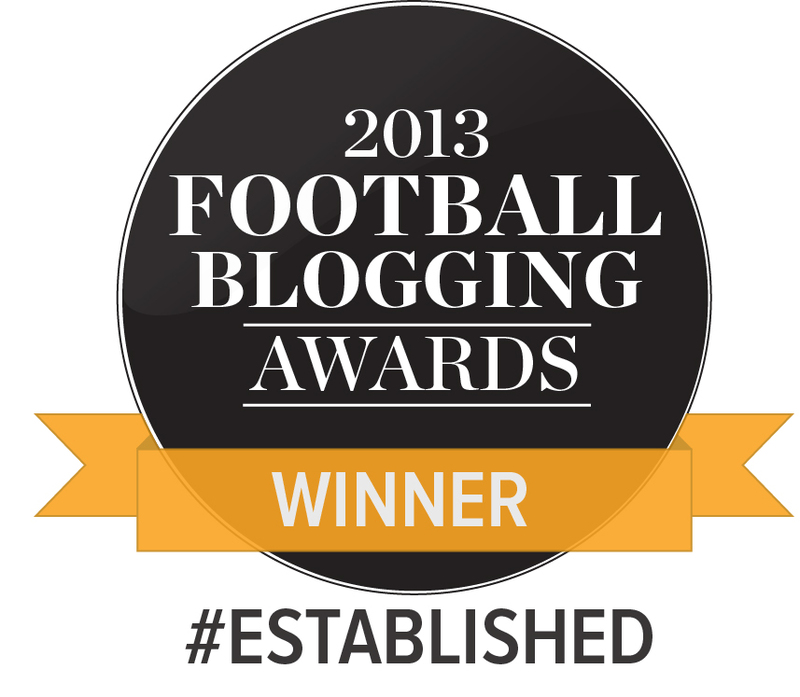 No amount of failed promotion bids, crushing defeats and goals conceded will ever, ever, ever change that fact. And that, I think, just about sums up this incredible man. I Think with Stuart it was a case of too soon and a case of heart ruling head. He seems a much more learned manager now at Motherwell without the emotional baggage of his time at VP.